Am actually creating this blog tips post for my friends who are still battling on how to engage there audience and also keep them coming back to their pages. This is actually how your blog is ranked, number one, number of visitors and two, how much time those visitor spend on you page. So after creating unique blog platform for your audience , another thing you must do is to engage your audience, this is very important to every blogger from my experience most visitor only come through social media. some are just there to read an article. Now it is within your creativity to retain these visitors and also keep them coming back. Am going to share some ways to engage your blog audience. 1. Make your blog lite simple: no one like coming back to slow loading blog site not minding how attractive it might look they either search elsewhere for the information even if it might not be authentic in this case it take your dedicated fans to remain as your blog visitors . to check the status of your blog and how fast you blog is running I recommend you logging into www.tools.pingdom.com is a very nice free site that will test the speed of your site and also gives you an analyses on the pages you need to improve on. 2. Adding a related post: I know this might not sound really new to those using words press, but if you still using blogger like me I tell you adding related posts at the end of every of your post will engage your audience because some one might be visiting your blog for the first on getting to theere then see some other interesting related things and probably sticks around and before you know the reader has spent approximately 30mins-1hr on you page. 3. Adding subscription links: collecting data is an easy to keep in contact and also update your readers on what is going around your blog. these link might include email subscription link, YouTube channels, pop notification and a contact form. 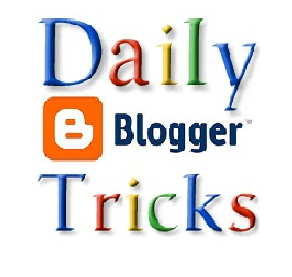 You can easily add you email subscription from your layout and add gadget if your using blogger. if your using word press go to pages place you censor where ever you want and you type a message link email mail me highlighter it go to links on URL direct the mail where to go and then update your page. To add a YouTube channel to you blog sign to you YouTube account on the top right click on you profile>>>> click on setting>>> click on advance below your email address copy your YouTube channel ID. open this site https://developers.google.com/YouTube/YouTube_subscribe_button and past your channel ID a html code will be provided for you, now copy the html, go to your blog layout click on add gadget, click on Html/java script and place the code on the space provided click on save arrangement. Pop notification :Most popular websites like Pinterest, Face book, Softonic etc, never stop pushing notifications. Most probably if you have a website or a blog, I recommend adding a web push notification service. WordPress user has noting to worry, since there several plugins doing these jobs. But am really concerned about Google Blogger? Well again, don’t worry, I will tell you about how to do that! Web push notification is becoming widely popular because they provide a better way of reaching your subscribers. Pop or web push notification is very important for everyone blogger. Push notification can be seen as a small message from a blog site or website delivering a message that is clickable and appears on your mobile or desktop each time a reader visits your site. Some success stories behind using pop notification is the fast rate at which it delivers content. very fast popular sites are using pop notification service and they are making more engagement in email marketing and social networks. The truth is that it helps in engaging more users on your blog and will definitely increase your page views and numbers of returning visitors.pop notification can be added to your blog using Push-engage. Push-engage also provides free and paid package which depends upon the number of subscribers you have, you can start with a free package if you don’t have much to invest and can upgrade to paid package in future. Visit Push-engage page here https://www.pushengage.com and sign up, it is absolutely a free account with which you can reach up to 25,000 subscribers. To register fill the sign-up form with the appropriate information and click on “start your Free trial” button. Another way to keep your audience coming, is to add a contact form to you blog to allow for interaction between you and your reader, apart from delivering emails and notification some of your readers may like to have personal contact with you. 4. Sharing on social media: The social media platforms has millions of visitors each day and they come for different reasons, this is a great opportunity to show off the stuffs and content to your blog by advertising on the social media like Facebook and twitter. 5. Information is expensive and sometimes hard to get, for me, my advice is to follow brands on social media and all there platforms if you really want to get fist hand information and then blog about it. 6. Trending post: show your reader what people are reading on you blog by adding tending or popular post gadget to your blog. 7. Creating a fan page : This is the group of people whom you share you post with, every time you get a new post. these includes Facebook likes, Facebook followers, google followers, twitter follower, google plus, Instagram snapchat and so on. 8. Updating your site with new posts: No doubt people want to reads updated information on daily basis, updating your site with current stories and news will push your audience to want to know whats is happening on your site today,and also more over increasing your daily post can be very helpful. in increasing your webpages daily views. depending on the type of blog your running, posting daily is not a bad idea until you grow big that you can be able to pay guest writer and guest contributors. At least I advice making five post or more in a week. ← Common User Authentication Methods.